The only problem I am having with my X7 is the network connections. My Wifi is faster than my wired. Using speedtest.net my wired is 17Mbps and my wireless is 45Mbps. I have a concern that there my be issues with the wired network device due to the fact that it appears to actually be connected via USB. (As stated in the device manager) and 17Mbps is as good as it gets. If someone has access to both Wifi and Lan and could test their speeds that would be a big help. Technically wifi is faster assuming you can get 150Mbps since wire is 100Mbps max. X7 is 1x1 150Mbps. 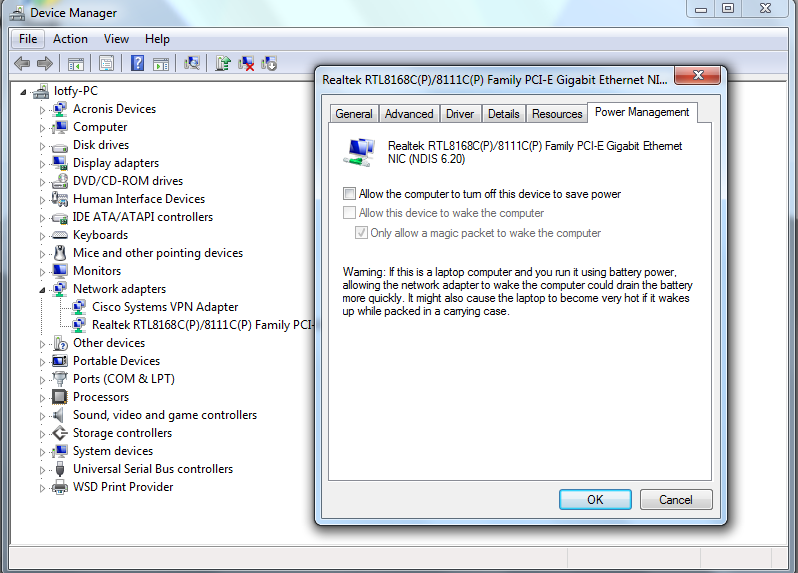 I think there may be issues with device conflict.. My usb remote hp keyboard stutters a bit when the Lan is enabled. Anyway I said screw 10/100 and I ordered a USB 10/100/1000 with an ASIX AX88179 chip-set. My whole network is 1000 except for my X7. Thanks for the ASIX suggestion. I'll post how I make out. That is a very good point. In the worse case I just use wifi. Let's see how I make out with the new Asix usb network adapter. I will also try using a powered hub. If usb adapter working you should go to maximum speed 500Mbps since this is only USB 2.0 (500Mbps) but it is realy more faster. It is a very good explanation of wifi rate and ethernet, wifi N 4x4 (number of transmitter and receiver) can achieve 600Mbps with use of 600N compatible router. Minix X7 have 1x1 so 150Mbps. Gigabit ethernet won't use tranmitter or receiver and work at 1000Mbps but the usb 2.0 won't go over 500Mbps since it is the limit. You should divide per 2 for up an download for a rate of 250Mbps, good increase vs 150Mbps. Well the the ASIX AX88179 made a world of difference. I am receiving full speed Internet. Well worth the 25 dollars I spent. Even if I didn't have network issues I would still upgrade. A special thanks to no_spam for the ASIX suggestion. Here's the one I ordered. Since they all use the same chip they probably all work the same though I am not sure about using a usb 3.0 version. I also ran it through a 3 amp powered usb hub I had laying around. The hub also appears to have clear up the cursor stutier I was having with my remote keyboard. So no internet connction. The USB ports are still powered. Looked for a setting but without results....any ideas?? ?